Are you a hair stylist? Do you struggle with keeping up with all of your clients and don’t know where to turn for help? Then look no further! A new online appointment scheduling software system called BookSteam is revolutionizing how beauty salons can schedule appointments. 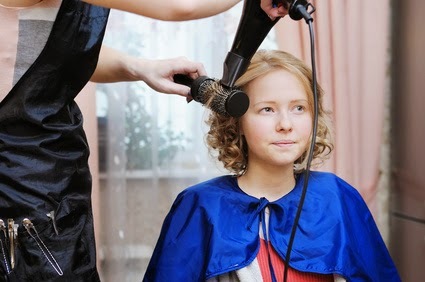 Now you will never miss an appointment again and this article explains 3 ways BookSteam will make your beauty salon so much easier to run! Keeping up with appointments can be so difficult and most beauty salons are desperate to keep up with organizing their appointments. Online appointment scheduling software provides an easy to use platform that any stylist can use to keep up with appointments and to provide excellent customer service to her clients. All businesses need organization, and BookSteam provides an easy to use method that is fun and efficient! BookSteam provides innovative calendar synchronicity for hair stylists just like you to incorporate into their personal schedules. It is important for hair stylists to be available for clients, and synching calendars helps you avoid overbooking appointments. BookSteam can easily be accessed on any Smartphone or tablet. Most beauty salons are owned by individuals instead of corporations, which makes it even more important to keep up with revenues just in case there are any problems in the ‘ole financial department. Now you can use BookSteam’s real time stats to gauge how well you are performing with customers, and where marketing and advertising can help out. If you own a hair salon and wish to improve your business, then consider using BookSteam’s online appointment scheduling software to keep your business organized and running efficiently! You will be amazed at how every aspect of your business can benefit from this easy to use online software system. Try today! Learn more.